The dream of flying while recharging wirelessly from afar, or that of bringing electricity down from the stratosphere, has long been cherished. Now, a US company with a big leg in Russia is working on charging an aircraft while in flight. The company GET, Global Energy Transmission, a US-based corporation with its engineering center in Russia, has been working on distant wireless power transmission — or charging wirelessly at distances greater than what we are used to. Its mission statement is to “develop(s) innovative solutions for high-power wireless energy transmission over large distances without conventional wires, providing a game-changing opportunity to build a new worldwide wireless energy network to enable drone parcels delivery, and provide unique capabilities for many industries including drones, robotics, industrial equipment, and renewable energy.” This heralds an era of almost endless mobility and certainly reminds us of Nikola Tesla’s plan for electricity everywhere, any time, thank you Westinghouse. What this means is that an electric drone could recharge while in flight. 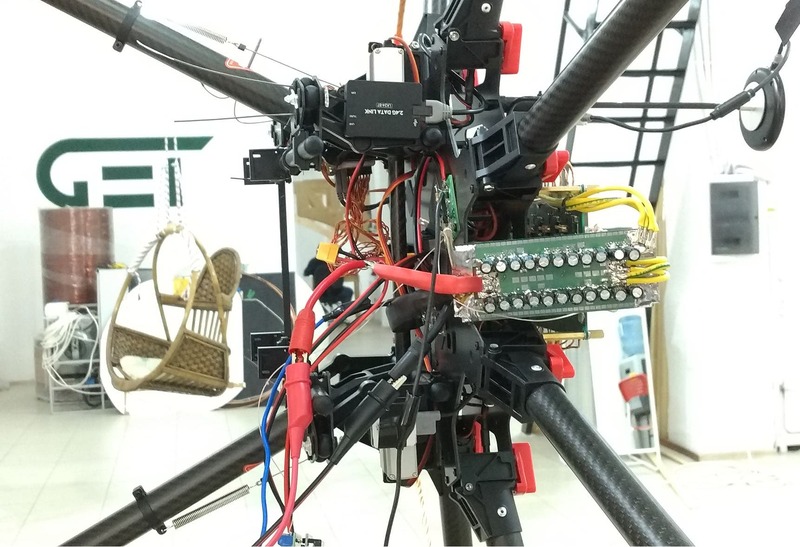 Depending on the power source of the charger and the drone’s energy capacity, the aircraft could fly indefinitely. No parachute is included in GET’s product. But before we get there, much will change. GET says its distance wireless charging technologies, called the GET Distant Wireless Power Technology, and its GET Air can transfer up to 12 kW at a distance of 8 meters (over 26 ft) … so far. It also claims an efficiency of 80%, presumably at up to 8 meters, which might raise a few questions on efficiency degradation. The system uses a three-phase 15 kW energy source and can charge up to three droves at a time, depending on their specific configuration. The company shows a few videos, enough to wet appetites and inspire questions. Got questions? Comments? Nicolas Zart Nicolas was born and raised around classic cars of the 1920s, but it wasn't until he drove an AC Propulsion eBox and a Tesla Roadster that the light went on. Ever since he has produced green mobility content on various CleanTech outlets since 2007 and found his home on CleanTechnica. His communication passion led to cover electric vehicles, autonomous vehicles, renewable energy, test drives, podcasts, shoot pictures, and film for various international outlets in print and online. Nicolas offers an in-depth look at the e-mobility world through interviews and the many contacts he has forged in those industries. His favorite taglines are: "There are more solutions than obstacles." and "Yesterday's Future Now"